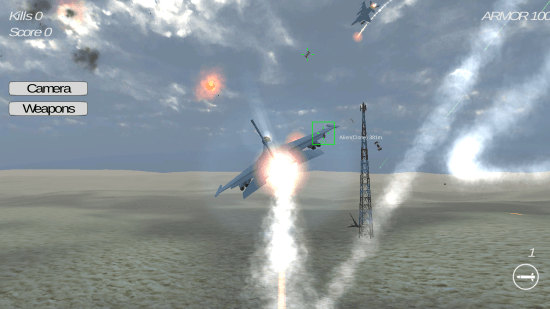 Flight Combat Simulator 3D is a free Flight Simulator Game for Windows 8 and 8.1 computers. Developed by Hungry Pixels, this extraordinary flight simulator game lets you fly a fighter plane. You not only get to fly the combat plane, but you also get to shoot down flying enemies. These enemies are not only just another fighter planes, you also get to shoot alien ships who came down to invade planet Earth. So, gear up and salvage yourself from an extraterrestrial attack. Attack and shoot down enemy and the alien ships, test your shooting skills and the ability of being airborne. With a size of just 20 MB, this flight simulator game for Windows 8 has a lot to offer in a small package. Search for Flight Combat Simulator 3D in the Windows App store, or simply click on the download link at the bottom of this article. Once you click Install, this game downloads and installs automatically on your device. The gameplay of the flight simulator game for Windows 8 is pretty simple but exciting. 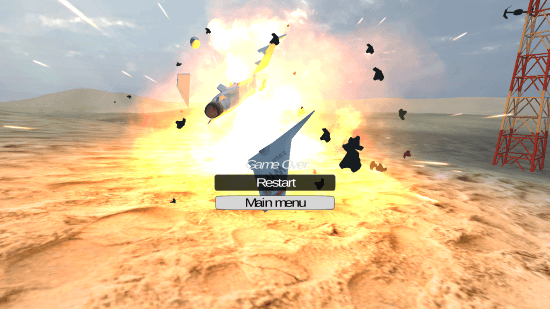 All you have to do is control your fighter plane, and shoot the enemies down. Use the WASD keys, or the navigation keys to turn and speed up the plane. Use the mouse to move the plane up and down in different directions. Click the left button of the mouse to fire shots and missiles. 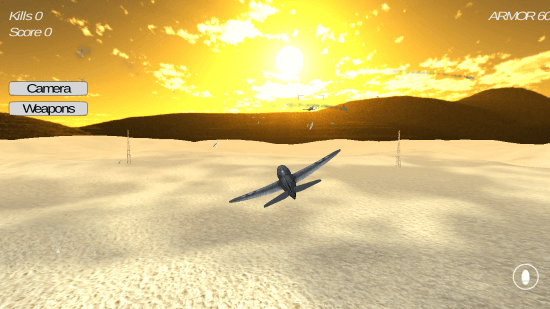 In this mode you will be flying a vintage fighter airplane. 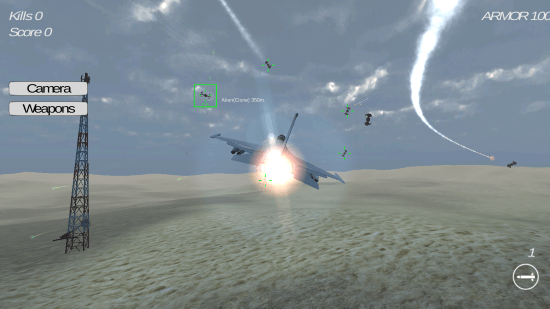 Enemy aircraft are flying around you, and you have to aim and shoot those planes down. Enemy planes can be spotted by the red markers around them. Simply aim at them, while you control your airplane, and shoot. 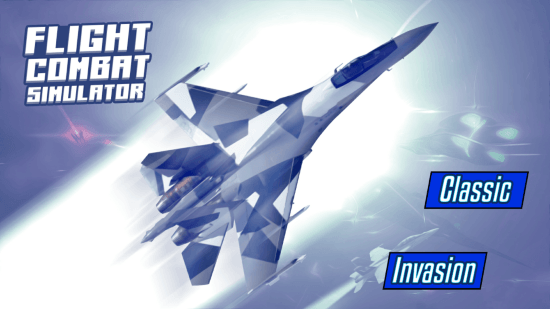 Invasion mode of this flight simulator game for Windows 8 lets you counter an alien invasion. You get to fly a modern fighter plane in this mode. This plane is capable of shooting missiles. It automatically targets the alien ships, simply shoot the heat seeking missiles. You can also switch weapons to drop bombs. Kill as many enemies as you can, and make high score. Try to escape enemy’s attacks, and avoid hitting the ground. The game gets over once your armor is over, or when you hit the ground. Gear yourself up, and go on a killing spree to destroy the enemy ships. The gameplay is realistic and both the game scenarios are visually appealing. The sound effects are also very good. This flight simulator game for windows 8 is a good download if you are looking for some action.